If you’ve been debating whether to build an app for your company, here are 9 reasons to do it. Over half of millennial-owned businesses have a mobile app. However, what does this have to do with your business? After all, mobile apps are just for established brands like PayPal and Amazon, correct? Creating mobile apps for business is pretty much the trend nowadays. Even the smallest of establishments have apps. Managers use mobile applications for businesses to stay ahead of the curve when it comes to brand marketing. However, while many have been receptive to the idea, some conservative managers are not yet convinced that a marketing strategy needs a mobile app to be effective. So, are mobile apps the future of doing business or are they just a millennial thing? The average American spends at least five hours every day on an Android or iOS device. While it’s possible that only a handful of popular apps are used, users are always scrolling through apps to find the one that they want to use. “Being in the way” during this process can be advantageous for your brand, as the human mind subconsciously records all the images and text we see. This means that your users will notice your brand every time they use their phones. Moreover, if you have a well-designed app icon, chances are they’ll open the app and explore some of your offerings. Such visibility creates familiarity, which brings about a sense of trust. This is important because modern consumers tend to buy from brands they trust. 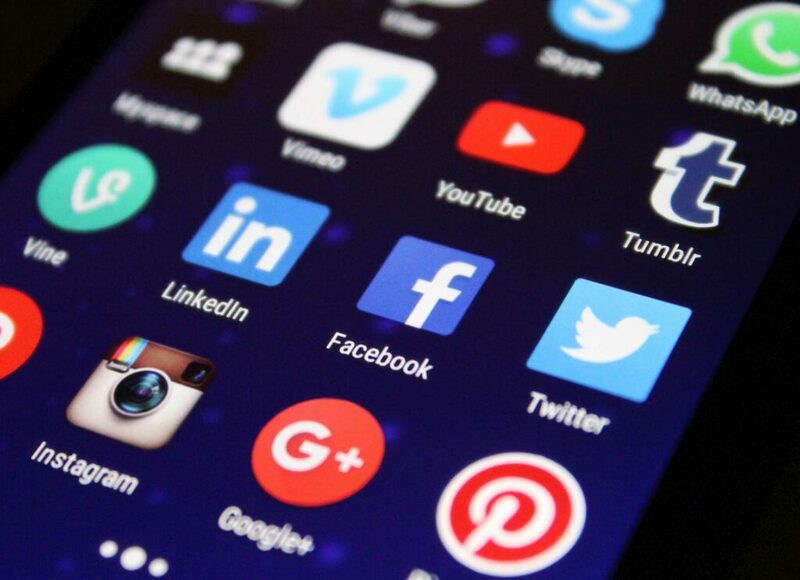 Apps are a great way to connect directly with prospective customers. With a mobile app, anyone looking to buy your products won’t have to look for the URL to your website. A simple tap on an app icon will direct them to your website. This instant access is a powerful tool for improving the relationship between customers and your brand. It eliminates intermediaries and fosters brand loyalty, a feat that every business strives to achieve. Whether online or offline; pushing the value proposition of your business is the core of an effective marketing strategy. Mobile apps help you achieve this by creating more value for your customers. You literally place your products in your customers’ hands so they can access them whenever they need them. For both businesses and consumers, this value is priceless. Consumers want to buy from brands that pay close attention to their identity and interests. Mobile apps allow you to customize your marketing campaign so you can deliver personalizes services to your clients. To give your customers a personalized experience, design your apps such that consumers can choose and customize themes, images, text format, and other visible elements. This will ensure that your customers feel welcomed every time they log in. Also, the notifications from the app will be specific to the customer, improving your chances of conversion. Mobile apps are a great way to distribute brand messages to your customers. Everything you want your customers to know about your products/services is right at their fingertips. Better yet, push notifications take you a step closer to direct interaction by allowing you to inform your customers about exclusive deals and promotions at the most opportune times. One of the leading reasons why business use of mobile apps is the degree of portability it grants the consumer. Apps are installed on mobile devices, as opposed to computers. These devices can be carried anywhere, and this eliminates time and location limitations. This makes it more convenient for customers to interact with your brand. They don’t need to be close to a computer to make inquiries or purchases because they have a direct line to your store on the go. Among the factors that highlight the importance of mobile apps to businesses is increased customer engagement. No matter the type of product or service you deal in, consumers need an easy way to reach and interact with your brand. Moreover, since the modern consumer prefers texting over calling, including a messaging feature in your app can significantly improve customer engagement. Customers will be more open to making inquiries, and this will increase satisfaction and build brand loyalty. Your customers can also use the apps to rate or review your products or services. This will give you an overview of your general business performance. Mobile apps can help you build a unique brand identity. They’re like blank signboards that you can customize to create a unique identity for your company. You can make your app stylish, hip, or professional-looking. Whatever you do, ensure that your app captures the elements that make your brand stand out. If you know how to create an app, you can save money by implementing the features that you want yourself. If you don’t, ensure that you clearly communicate the brand elements you’d like included in your app to your outsourcing partner. While mobile apps are popular among big brands, they’re still quite rare among small businesses depending on industry and location. By creating a mobile app for your small business, you gain a competitive advantage over other similarly sized competing brands. Not only will it demonstrate your forward-thinking approach, but also prevent potential customers from being distracted by competing brands when they search for your products on search engines. Looking at the above benefits, it’s clear that having mobile apps for business isn’t just a millennial trend. They’re here to stay, and many forward-thinking small business managers are well aware of this. Pretty soon, apps will be a standard component of every brand’s marketing strategy. The question is, will you wait till then or would you like to be one of the trendsetters? Your choice. If you’d like to learn more about mobile applications, visit our apps category page. Next article[MOD] OZO spatial audio on Nokia Recorder app!